Yesterday, at 1st of March 2017, it was the very first time that a Bombardier CSeries 100 arrived in Graz [GRZ / LOWG]. The plane operated the flight LX1512 from Zurich [ZRH / LSZH] to Graz for SWISS. The new flagship from SWISS the Bombardier CSeries 100 will serve the course between Graz and Zurich in the summer flight plan beginning at 27th of March 2017. The CSeries 100 partly replaces the SWISS Avro RJ100 and the Helvetic Fokker 100 which are serving ZRH-GRZ-ZRH at the moment. 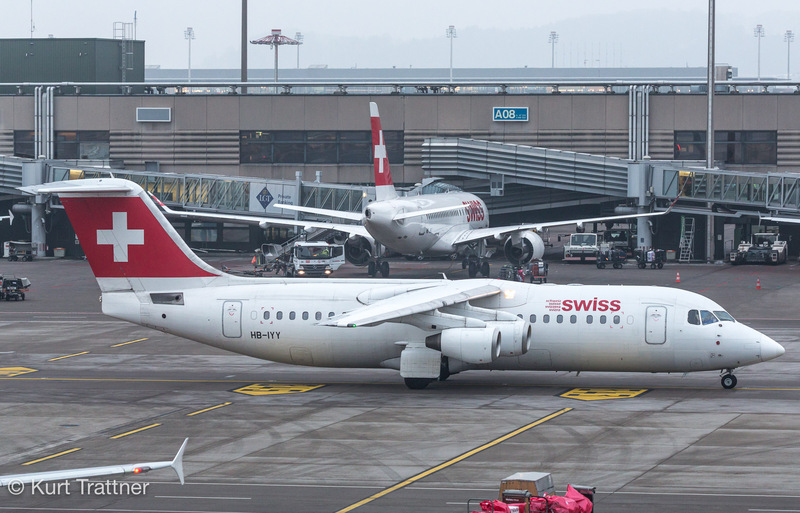 Old and new generation of SWISS regional jets. 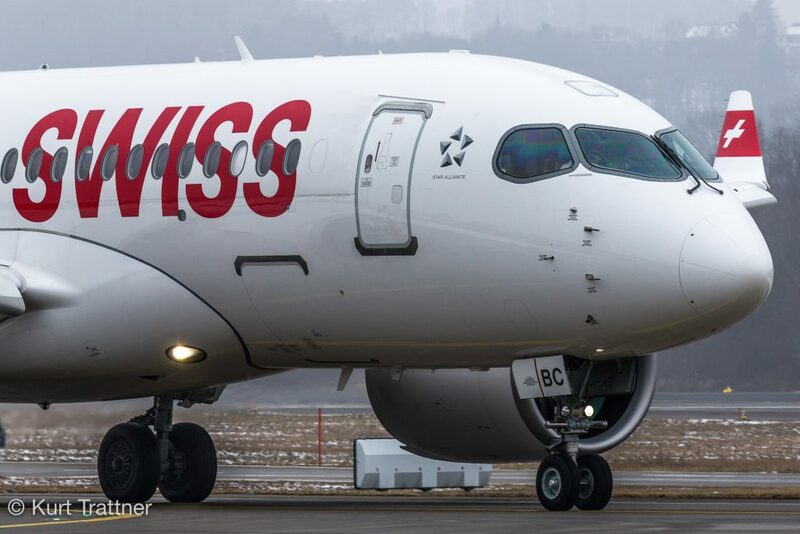 SWISS is the first airline worldwide which uses the CSeries 100 in regular operation. At the moment they have five aircrafts of this type in operation and they are planning to increase the number of airports which get served by the CSeries 100s. One of this airports will be Graz. The Bombardier CSeries 100 convinced since six months in action, because of their high confidence and high accommodation. Passengers, as well as pilots, are fans of this aircraft. The pilots love the intuitive flight experience and the passengers the high comfort, the bigger space for the hand luggage and the bigger legroom. The considerable noise reduction also has a positive effect on the well-being of the passengers on board. The larger windows make the cabin even brighter and more spacious. The Bombardier CSeries 100 offers 19 seats in the business class and 105 in the economy class. The cockpit was developed according to the special needs of the pilots. On a special display which is on eye level, the pilots have access to relevant information. In addition, thanks to their reduced fuel consumption and the reduced emissions of CO2 and nitrogen oxides, the aircraft makes an ecological quantum leap possible.